Generally, for carry-on luggage, passengers are allowed to take one bag and one personal item with them onto their flight. Personal items usually include a laptop bag, handbag or briefcase that easily fits under the cabin seat. Usually, the maximum combined weight is 7 kilograms total for carry-on luggage bags, and the dimensions for the main hand carry luggage is 48 centimetres high, 34 centimetres wide and 23 centimetres deep, unless it’s a garment bag. These size and weight restrictions on cabin luggage size, ensure passenger belongings can fit into the cabin’s storage. Only one of these additional hand carry size bags or suit packs can be brought in addition to the one personal item, as long as these can be lifted by the passenger and easily placed into overhead lockers. However, carry-on weights can change between airlines and classes of travel. For instance, Economy passengers may only be allowed one carry-on bag at 5-7 kilograms per person, whilst Business and First Class passengers may be privy to extra pieces or more generous allowances. 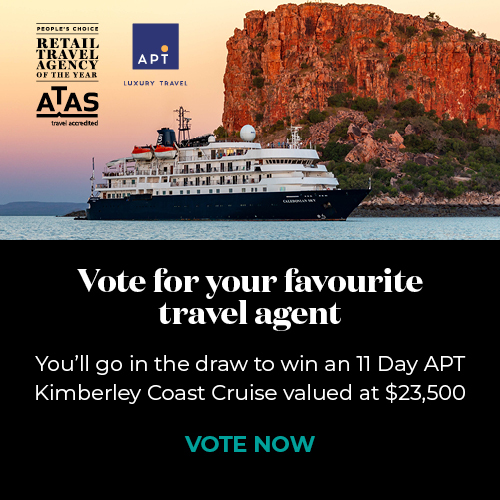 It’s recommended to check with your local accredited travel agent via the ATAS directory, to confirm your precise circumstances, when they help organise your flight arrangements. When preparing for flights, travellers should consider that weight, size and number of bags permitted can alter between airlines, as they all have their own rules for both carry on and checked luggage. Allowances are often determined by fare type, travel class, frequent flyer status and routes flown, so ask your ATAS travel agent for your specific allowance. There are two things you need to look for: weight and size. Weight is easy enough -- although some airlines allow you other "personal items" in addition to the stated number of kilograms. Size is often stated by adding up the length, width and depth of a bag, but some airlines also quote maximum sizes in each dimension, or insist that your bag fit inside that little testing stand at check-in. Size can also be tricky on a smaller plane, where a perfectly acceptable carry-on bag might not fit in the overhead bins or underneath the seat in front of you. Bottom line: 10kg over two bags: "one main item of carry-on baggage and one other small item, with a total combined weight of up to 10kg". The small item could be "a handbag, pocket book or purse, coat, umbrella, or for international flights, approved duty free goods." Business Class passengers are permitted one additional main item (2 main items in total) of carry-on baggage, as long as each main item does not exceed 10kg, with a total combined carry-on baggage weight of up to 20kg. For more information, check out the Jetstar carry-on baggage page. The Red Roo has different rules for domestic and international flights. where it's 7kg in one bag. Bottom line: 7kg over two bags, plus personal item (which might include a laptop or "reading matter"), unless you're in international business, where it's two 7kg bags plus personal item. For clarity, that means you can take 7kg plus whatever your laptop weighs, but Virgin does say "A laptop in thin satchel-style laptop bag is considered to be a personal item. A laptop in larger laptop bag will be counted as part of a guest's carry-on allowance." One small bag or briefcase (total linear dimensions 105cm), plus one non-rigid suit pack or garment bag that does not exceed dimensions of 114cm x 60cm x 11cm (total linear dimensions 185cm). The total of each combination must not exceed 7kg, Virgin's baggage page states. Bottom line: 7kg over two bags. Two small bags: Each not exceeding, depth 23cm (9in), height 34cm (13in), length 48cm (19in). Rex's baggage policy page also strongly suggests you check with their staff whether your luggage will fit: "Passengers that are unsure if their cabin baggage exceeds cabin baggage limits should approach Rex Staff to get them tested BEFORE check-in closes so we are able to check in the bags if necessary. Passengers with baggage exceeding cabin limits at the boarding gate will have their baggage offloaded. Baggage will be treated as checked baggage and only be uplifted on the next available flight and it would be the passenger's responsibility to collect these bags from the airport when they arrive." Excess baggage fees will also be levied if total checked baggage including offloaded cabin baggage exceeds the 15kg checked baggage limit. One Briefcase or One Small Bag. Must not exceed: depth 23cm (9in), height 34cm (13in), length 48cm (19in), maximum weight 7kg. One soft-sided (non-rigid frame) suitpack or garment bag. Must not exceed: thickness 11cm (4.3in), width 60cm (23.5in), length 114cm (44.9in). The usual "personal item" (including "reasonable amount of reading matter for the flight" or "lady's handbag, pocket book or purse, which is appropriate to normal travelling dress") "may be carried free of charge over and above the free checked baggage allowance (but not exceeding 7 kilograms)." Qantas permits two pieces of carry-on luggage, provided the maximum weight is less than seven kilograms (both bags can be seven kilograms each when flying domestic) and both bags don't exceed the dimensions of 115cm (international) or 105cm (domestic). For the checked baggage allowances below, Silver, Gold and Platinum Qantas Frequent Flyer members are permitted additional allowances with greater weights or additional pieces depending on the route flown. Check with your travel agent for details. allowance over multiple bags. No single item should exceed the dimensions of 158 centimetres or weigh more than 32 kilograms. dimensions of 140 centimetres or 32-kilogram weight limit. international routes, First Class guests may check up to 50 kilograms in total. As always, no single bag may weigh more than 32 kilograms. Whether it’s a domestic or international flight, Virgin Australia allows two carry-on items in the cabin provided that the total weight doesn't exceed seven kilograms. Each item should fit within the linear dimensions of 105 centimetres. The checked baggage allowances shown below do not include the increased limits given to Silver, Gold and Platinum Velocity members. With the exception of the lowest Saver Lite fares on short-haul international services, every Virgin Australia guest is given an inclusive baggage allowance. centimetres will incur an oversized bag fee. maximum weight of 32 kilograms for each. For Abu Dhabi services, guests may check multiple bags up to the limit of 32 kilograms. Jetstar's carry-on bag limits differ for Economy and Business Class. One bag plus one personal item are allowed in Economy, so long as the total weight remains at or under seven kilograms. Guests seated in Business may bring two items with a maximum weight of seven kilograms for each. The maximum dimensions for these bags is H56cm x W36cm x D23cm. Items found to be too heavy or too large must fly as checked luggage and these items will incur a checked bag fee if not already pre-paid. bags is within the allowance provided by the fare class travelled on. Max guests receive a free 30-kilogram allowance with the option to purchase another 10 kilograms. additional weight will be cheaper when pre-paid online versus at the ticket counter. There are two scenarios in which airport baggage fees must be paid – when a carry-on item is found to be too heavy or too large to take on board, or when baggage has not been pre-purchased. Tigerair permits two carry-on pieces in the cabin with a combined weight of seven kilograms. For an additional fee, passengers may increase that allowance with the Cabin+ option. This handy feature adds another five kilograms on top of the standard carry-on allowance. Size restrictions for each bag are as follows: H54cm; W38cm; D23cm. website is significantly cheaper than purchasing an allowance at the airport. Domestic - $75 for flights under 1 hour and 45 minutes; $90 for longer flights. (Weight in excess of this amount is charged at a per kilo rate of $20 for shorter flight times and $25 per kilo for longer flights). International - $100 with an excess fee of $30 per kilo over 15kg. If you are overseas, the last thing you want to have to worry about is checking your carry-on bag at the last minute because it exceeds the size or weight restrictions of your airline. Every airline will have different allowances and they can often change without notice. Three of the major international airlines American Airlines, Delta, and United all impose similar size restrictions for carry-on bags, with American Airlines being the most generous with a total bag size of 115cm (56cm long x 36cm wide x 23cm tall). Delta allows bags up to a total size of 114cm and United allows bags up to 113cm. These variations may seem small, but they could mean the difference between boarding without any hiccups and having to deal with the frustration of checking your carry-on. Low cost US-based airlines, Frontier and Spirit, have started charging passengers for bringing their carry-on bags in the cabin with them. Frontier charge an additional $25 per carry-on when you initially purchase your ticket and $30 if you wait to pay for your bag at the time of check-in. Spirit charges between $26 and $35 at the time of ticket purchase and between $36 and $45 during check-in. While none of the Australian-based airlines have followed in the footsteps of their American counterparts, this highlights the need to thoroughly understand the luggage rules wherever you happen to be flying. Each of the major Australian airlines have their own size and weight restrictions when it comes to carry-on bags. The table below briefly lists the size and weight allowances, and whether or not there is an additional fee to check any carry-on bags that exceed the limitations. It's always a good idea to double-check your airline's website prior to each flight to avoid any nasty surprises. The definition of a 'small personal item' can vary from airline to airline as well. As a general rule, personal items usually include a handbag, briefcase, laptop bag, or garment bag that can easily fit under the seat. Aside from this insight, it’s also important to keep in mind what can be taken within travel luggage bags that you may be planning to carry on. Certain items cannot be brought aboard aircraft as there’s a potential of harm to passengers and crew, and can be confiscated upon identification, with no prospect of storage or return. Besides this, carry-on baggage restrictions are in place for liquids, aerosols and gels on international flights. Whilst these items can be brought into the cabin, they cannot exceed 100 millilitres and must be packed in a resealable 1 litre or less, clear plastic bag. Exemptions apply to medicines and baby products, but again anything not allowed, will be disposed of without return. Though liquids are restricted, parents of infants are allowed to carry a certain amount of breast milk, baby formula, juice or baby food for use during flights. However, amounts vary depending on the destination and airline, so check with your ATAS accredited travel agent. Always check with them or your airline before departure. If in doubt, leave any potential items that could cause issues at home, or check with your ATAS travel agent or airline. Such items include those that are prohibited, considered as dangerous goods, or fall under the category of liquids, aerosols and gels. Flights within Australia are not subject to restrictions on how much liquid, aerosols and gels you can carry onboard. However, if you are travelling domestically, but departing from an international terminal (for example, Terminal 1 in Sydney or Terminal 2 in Melbourne—your boarding ticket will confirm if you are departing from an international terminal), you are subject to liquid, aerosol and gel restrictions. In particular, all aerosol containers must have a fitted cap, or locking device. Travelling on the domestic leg of a flight departing from an Australian international terminal, e.g. passengers departing Sydney international airport on a flight to Melbourne. These restrictions are strictly applied. Security screening officers have the final say if there is any doubt about what items can be carried onboard. You are also advised to check the dangerous goods restrictions. Liquid—a substance that is liquid when at room temperature. Aerosol—a substance kept in a container under pressure. What are the quantity restrictions? Containers larger than 100 millilitres or 100 grams, even if only partially-filled, will not be allowed through the security screening point. For example, a 200 gram toothpaste tube that is half-full will not be permitted. Some items may not be obvious, such as snow domes or toys with liquid inside. If you are unsure if an item will pass screening, pack it in your checked baggage. Baby products, prescription and non-prescription medicines (including special dietary products), and medical items required during a flight are exempt. For medicines and medical items, you will need to present these items along with proof (e.g. doctor's letter) at the screening point. Examples of items that cannot be carried onboard. Items that are a replica or imitations of these items are also prohibited. Sporting goods, kitchen utensils, tools, and other items with sharp edges or points capable of injuring a person. Sharp items that are not weapons but are capable (with or without modification) of causing harm by penetration. Blunt items that are able to be used to bludgeon or threaten to bludgeon a person. Items capable of being used to restrain a person. The Civil Aviation Safety Authority (CASA) also has a list of dangerous goods (that are not permitted in your carry-on or checked baggage. Before you pack, visit the Can I pack that? dangerous goods app to check what items you can and cannot take onboard. Examples of common items that may be permitted. Due to the number of items passing through security, it is not possible to list them all. Security screening officers and the airline are responsible for ensuring security standards are met and have the final say about what items are permitted. Check with your airline before travel as they may have additional restrictions. Remember, aside from these, bulky luggage like instruments, golf clubs and sports equipment, or bicycles etc. may be included as part of your checked baggage allowance, if there is enough space on the aircraft, or an additional fee may apply. Generally anything like surfboards, rods and bicycles would need to be packed appropriately to abide by airlines baggage restrictions. So, check with your ATAS accredited travel agent or airline for a confirmation first. Likewise, infant baggage guidelines alternate between airlines and may also form part of adult baggage allowances, so check with your ATAS accredited travel agent. Age dependent, infants can be permitted a car seat or baby capsule on board (the type privy to the airline for safety), but strollers or collapsible prams will need to be checked at the boarding gate. Want more travel tips? Use our handy packing checklist. If you need additional advice, select an accredited travel agent to plan your travel arrangements, via the ATAS directory.